This hangtag is ideal for providing effective store branding and at the same time offering merchandises’ information to your customers effectively. 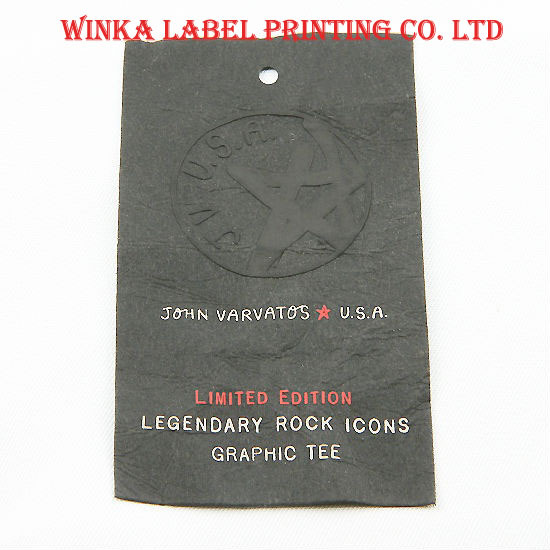 This merchandise tag features a crease design with embossed logo and high quality silk screen printing for a customized look. 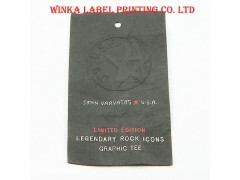 The tag can be attached onto jewelry and garments conveniently with its cut-out hole. Customized shapes, colors and designs. Cut-out hole for convenient attaching. Ideal for jewelry, clothes and accessories.